US equities saw the first net weekly decline in six weeks, with declines ranging from -0.3% (Nasdaq Comp'), -1.1% (sp'500), to -1.4% (NYSE Comp'). 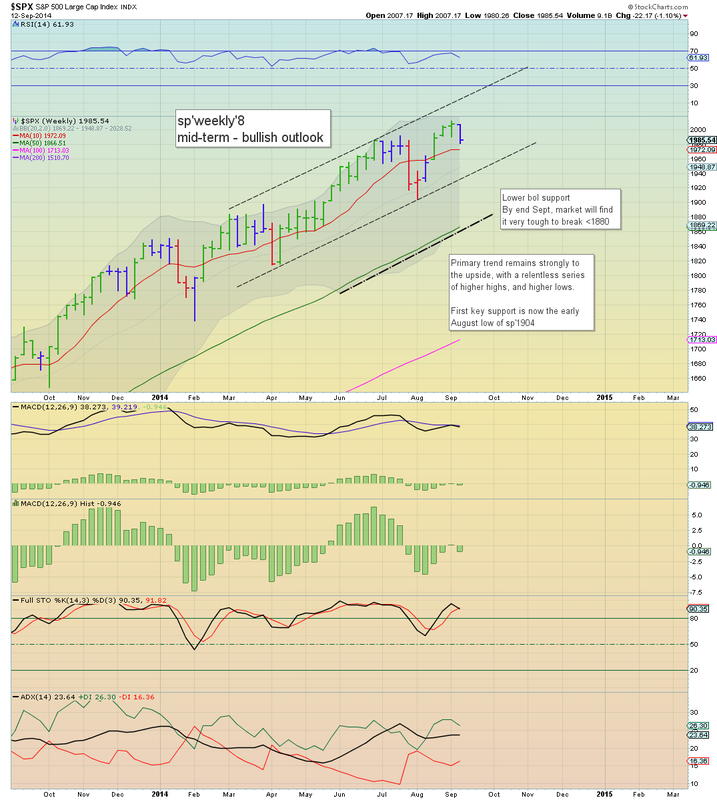 Despite the decline, the broader upward trend remains comfortably intact. So, a -1.1% weekly decline, the first net weekly decline in six weeks. 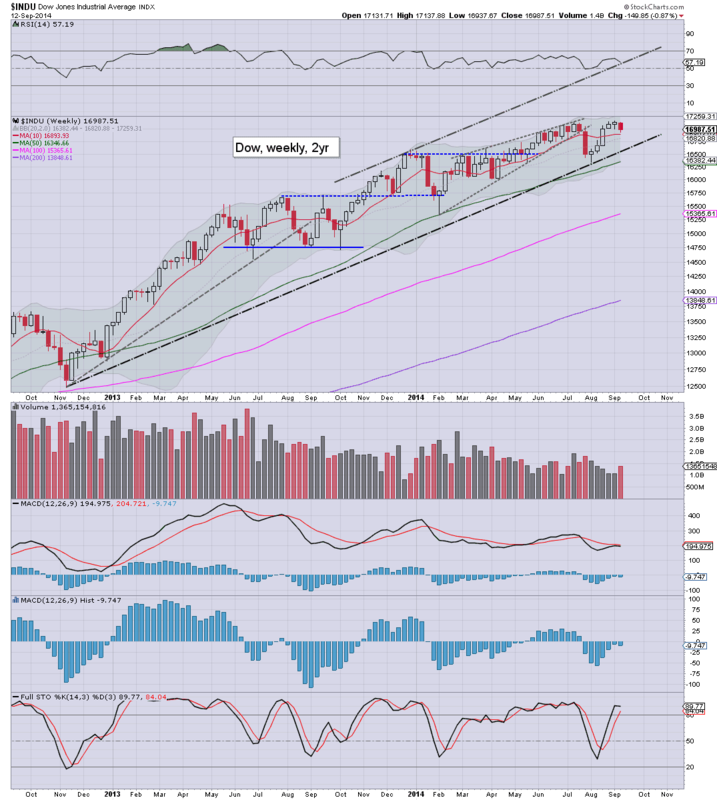 Certainly, it was nothing dramatic, and the bulls managed a fourth consecutive weekly close above the 10MA of 1972. Equity bears clearly need a break under 1970 - where there are a great many aspects of support (not least the 50 day MA). Right now... that seems unlikely. The tech' was especially resilient this week, slipping just -0.3%. First key support are the low 4300s. The mighty Dow fell a moderate -0.9% this week. Key support is around 16600/500s. 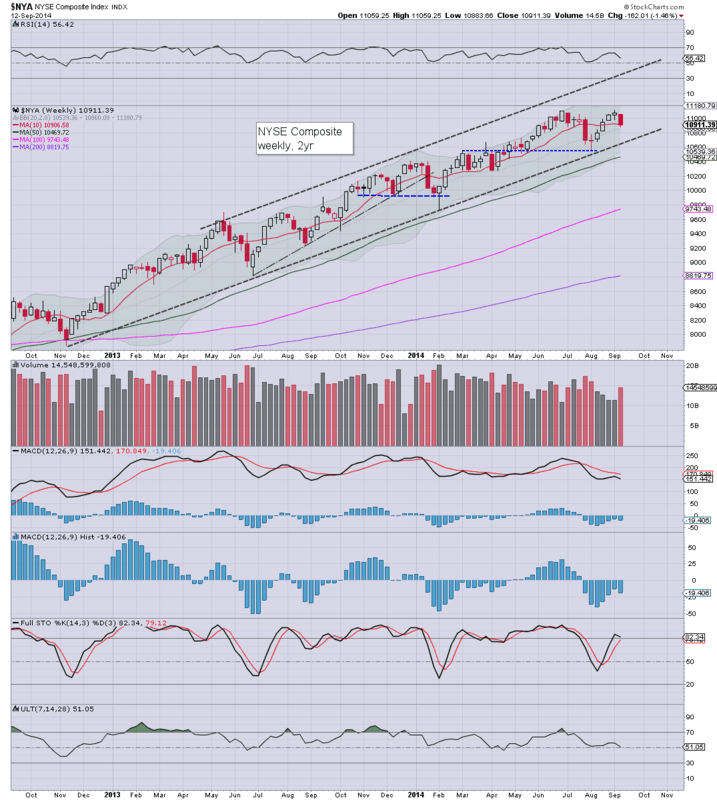 Barring some 'spooky news', the Dow looks set to push into the 17300/500 zone in Oct/Nov. The master index fell a somewhat significant -1.4% this week, with a fractional weekly close above the 10MA. 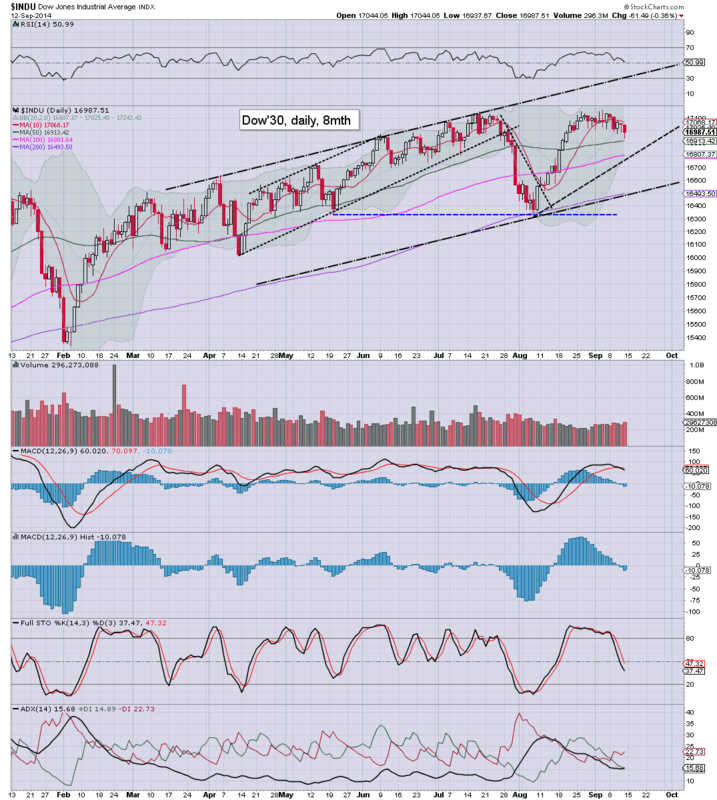 There still looks to be viable upside to the 11200/300s in October.. before the next multi-week down cycle. 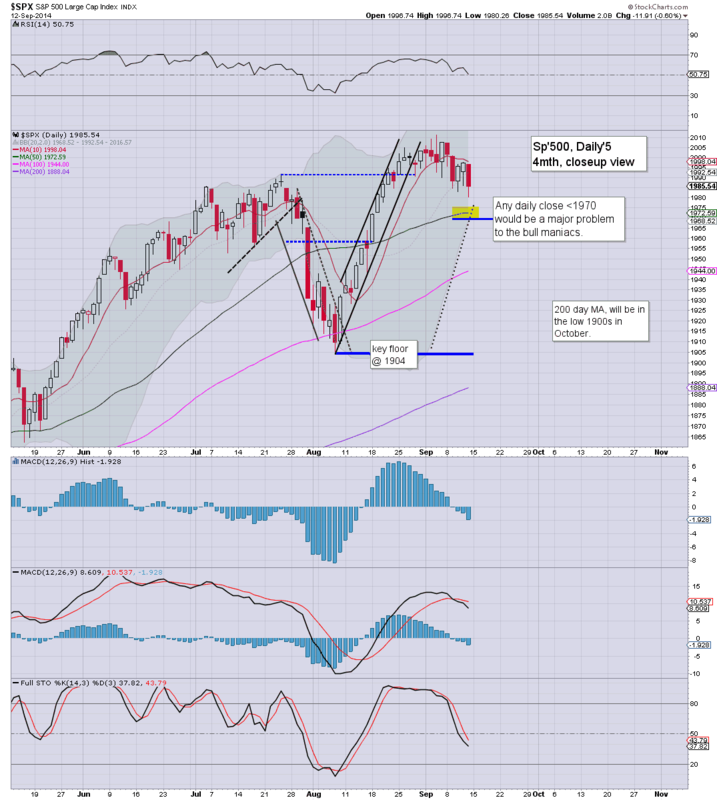 The R2K fell for a second consecutive week, -0.8%, but with another close above the important 10MA. There is rising support around 1120, with a core floor of the 1080s. 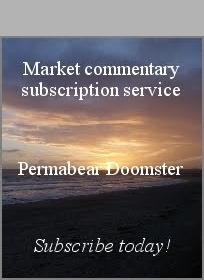 Considering the broader market, the 1080 threshold does not look likely to be breached in the remainder of the year. The 'old leader' was especially notable this week, since it did manage a new historic high of 8607. 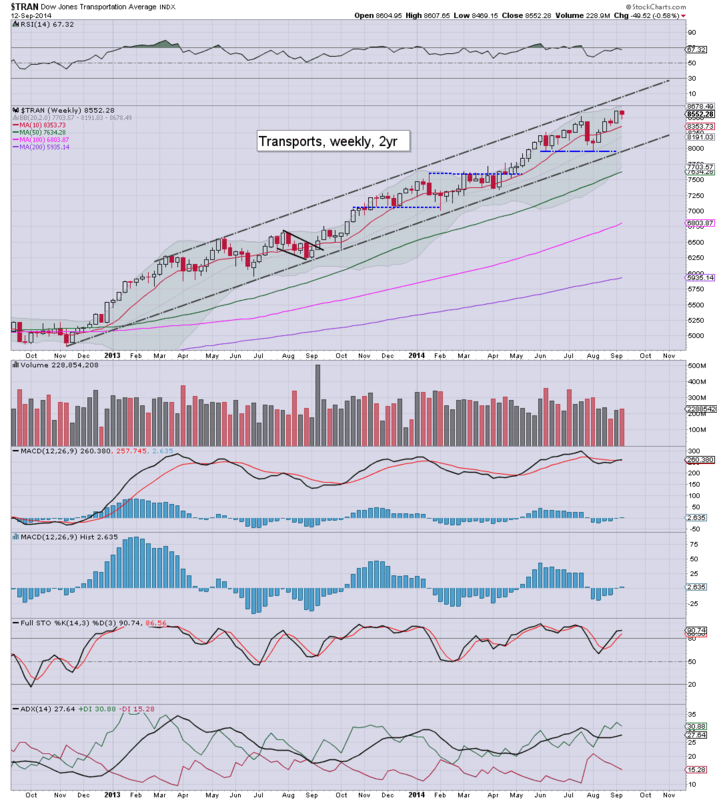 There looks to be upside to the 8700/800s in October. Underlying MACD (blue bar histogram) cycle ticked higher for the fourth week, and is now moderately positive. So... all indexes saw a net weekly decline, but taken as a collective, the declines were nothing particularly significant. Unless the August lows (sp'1904) are tested, equity bears have nothing to tout. Yes, QE3 will be ending in October, but unlike April 2010 and May 2011, the market has had almost a full year to adjust. Next week is set to pretty busy, with a focus on the Fed (although market won't likely be surprised)..and the giant IPO of Alibaba. Mon' indust' production, empire state. Wed' CPI, housing data, FOMC - market is expecting QE taper'7 of $10bn, taking the monthly QE fuel to just $15bn. There will be a post announcement press conf. with Yellen. Thurs' - Alibaba IPO. I'd guess that will price in the low $70s, would not be surprised if many go crazy and chase it higher to the 90s...even $100 on opening day. *there is also the vote in Scotland - on whether to break away from the United Kingdom. For the British Pound and UK stock market, the result (likely known sometime in the early hours of Friday) it will likely have major effects. Fri' - quad-opex... so.. expect some chop. 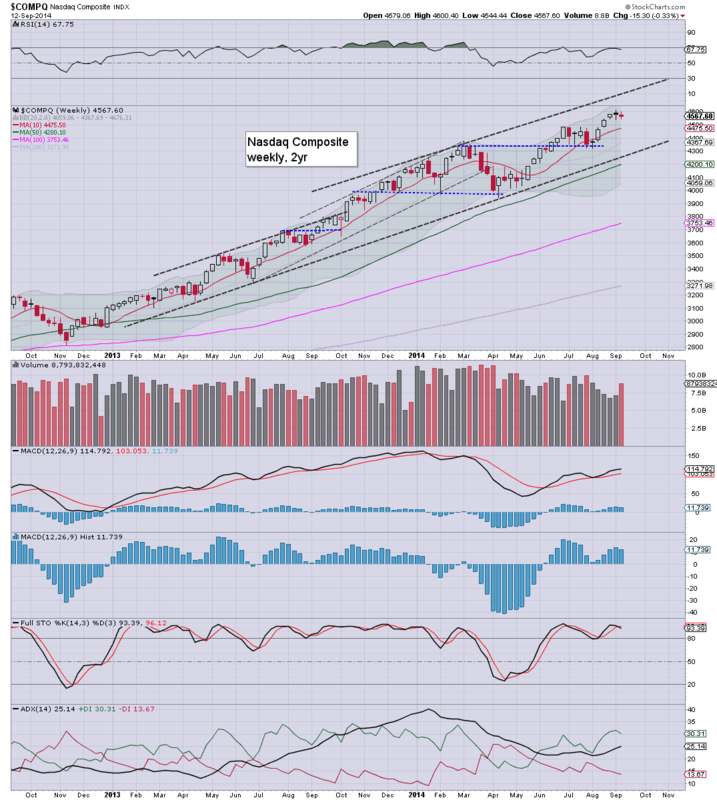 The recent high of sp'2011 was a clear 20pts shy of the upper weekly bollinger, and in almost all multi-week/month cycles, the market will at least hit the upper bollinger.. before a new wave lower. Since we didn't hit the 2030s, I'm still looking for further upside. There looks to be viable upside to the 2050s in early October. Whether we can just keep on pushing straight into the 2100s from there... difficult to say. With that outlook in mind, I will seek to pick up a major index-long in the low sp'1970s early next week. 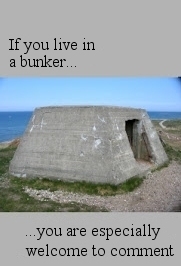 If we don't hit that target, I will probably be content to sit it out. What I won't do right now is short the market... price action simply doesn't support such a trade. 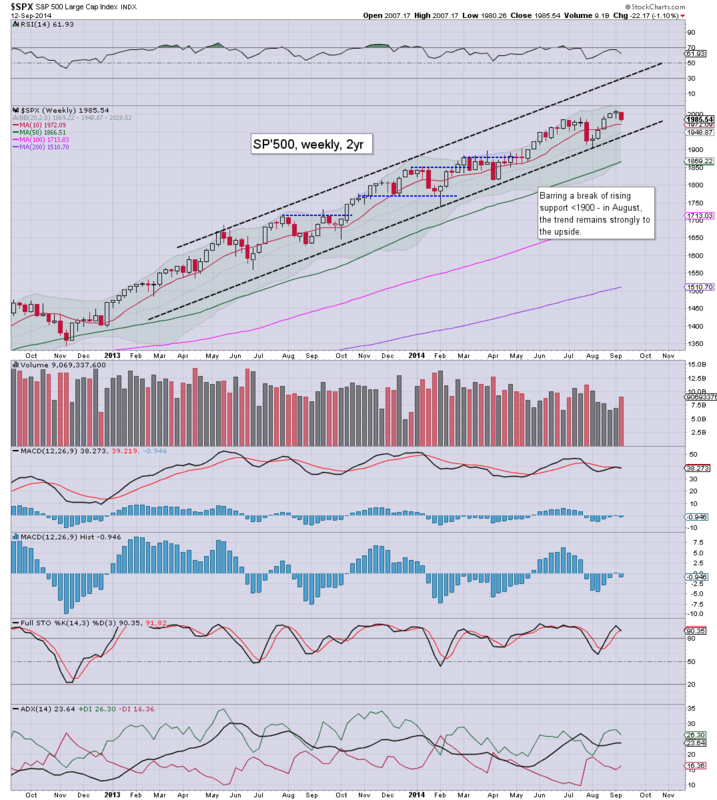 After five consecutive net weekly gains for the sp'500, the equity bears managed to finally claw a week in their favour, with the sp' -22pts (1.1%) @ 1985. There looks to be moderate downside to 1973/70, before the broader upward trend resumes. US indexes closed somewhat weak, sp -11pts @ 1985. The two leaders - Trans/R2K, settled u/c and -1.0% respectively. 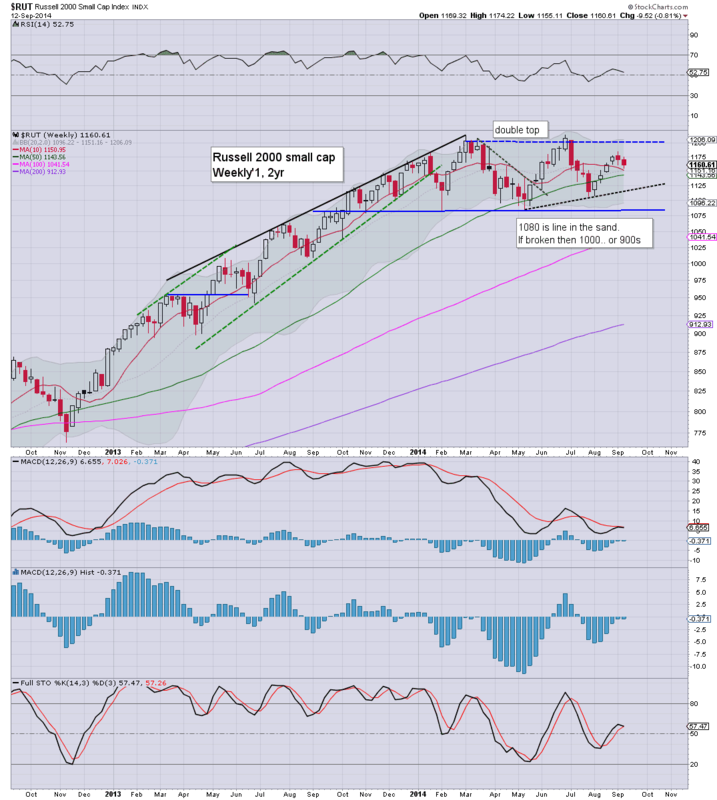 Near term outlook is for the sp'1973/70 zone, before resuming back upward. The bulls managed a strong climb from sp'1904 to 2011, whilst the best the bears seem likely to be able to do is a 38% retrace.. to the low 1970s. New historic highs look likely in late Sept/early October.